Over the years, our window cleaners have learned more about the intricacies of building restoration, but we have not forgotten our roots. Being a window cleaner puts you in a situation that enables you to learn about the importance of proper maintenance. Our window cleaners have become experts in the art of building restoration and maintenance over the years. 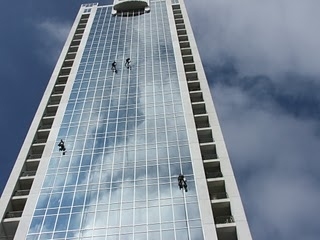 For a window cleaner service provider that knows every intricate detail of the business, choose us.